Susannah Benson was born on 16 October 1830 in Cowling, West Yorkshire. Sometime in the September quarter of 1852 Susannah married Joseph Gawthrop. Over the next twenty years Joseph and Susannah had eight children. Their first child, John, became a well known Wesleyan Methodist minister. I have written about John before – here and here. Joseph and Susannah lived in Cowling all their lives. Joseph’s occupation in the census returns from 1861 to 1891 was a farmer at Green Syke, Cowling. 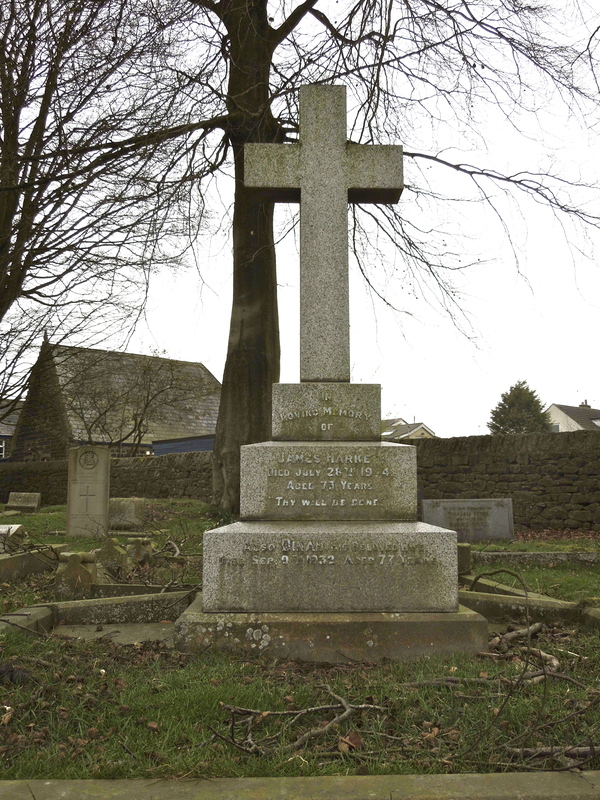 On 25 April 1900 Joseph passed away and was buried three days later at Holy Trinity Church, Cowling. According to the census return for 1901 Susannah was still living at Green Syke with her youngest son Alfred and his family – Alfred now appears to be running the farm. Very sadly tragedy struck on Friday 22 November 1907. The Bradford Daily Telegraph published the following story on 25 November. On Friday night Mrs Susannah Gawthrop, of Cowling, was reading a newspaper by candle light, when the paper caught fire. In a few minutes she was in flames, and sustained severe injuries, being badly burned about the neck, face and arms. Death took place on Saturday night. Mrs Gawthrop who was in her 76th year, was the mother of the Rev. John Gawthrop, a popular Wesleyan minister at Huntingdon. The tragic incident has caused quite a sensation in the village, and general sympathy has been extended to the relatives on all hands. A Coroners Inquest was held at the Cowling Liberal Club on 25 November 1907. The verdict was that death was caused “By misadventure, set fire to her clothing causing death by shock the next day”. 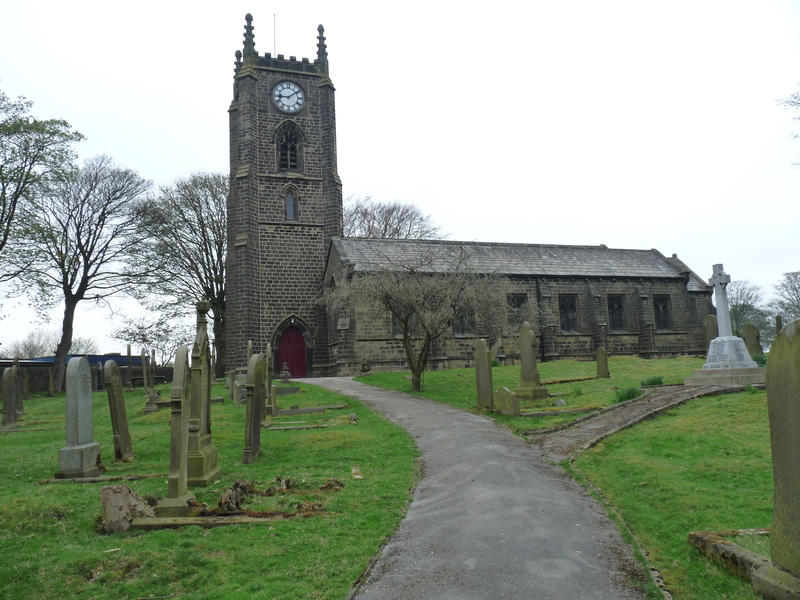 Susannah was buried on 28 November 1907 at Holy Trinity Church, Cowling. This gravestone is at Holy Trinity church in Cowling, West Yorkshire. Buried here are Thomas Thompson, his wife Alice (nee Dawson) and their daughter Mary Ellen. Alice Dawson is my 2nd cousin 3x removed – our common ancestors are my 4x great grandparents John Dawson and Ann Watson. She was born on 18 November 1848 to parents James Wright Dawson and Mary Thompson. Thomas worked as a warp dresser most of his life. 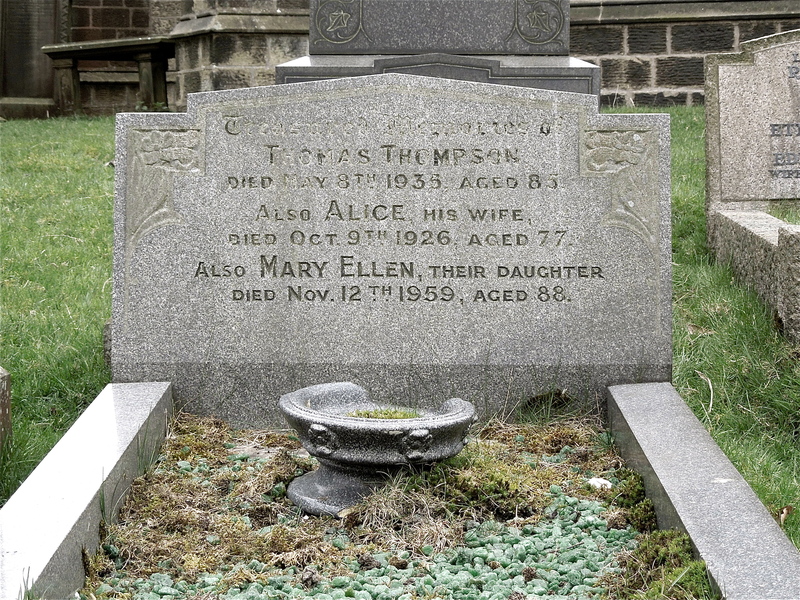 Alice passed away on 9 October 1926 at the age of 77. Thomas survived for almost another nine years until he died at the age of 85 on 8 May 1935. Their daughter Mary Ellen didn’t marry and she passed away on 12 November 1959 aged 88. This headstone is at the grave of James Harker and his wife Dinah (Dawson) at Holy Trinity church, Cowling, West Yorkshire. Dinah is my 2nd cousin 3x removed – our common ancestors are my 4x great grandparents John Dawson and Ann Watson. Dinah was born in Cowling on 5 May 1853 to parents James Wright Dawson and Mary Thompson. Sometime in Q3 of 1874 Dinah married James Harker, also from Cowling. I haven’t done any research on James so at the moment I can’t tell you who is parents are. James and Dinah had at least two children – Martha (c 1878) and Edith (c1880). Between 1881 and 1911 James worked as warp loomer, presumably in one of local mills. Dinah worked as a weaver until in the 1901 census she is described as ‘confectioner, own account’. 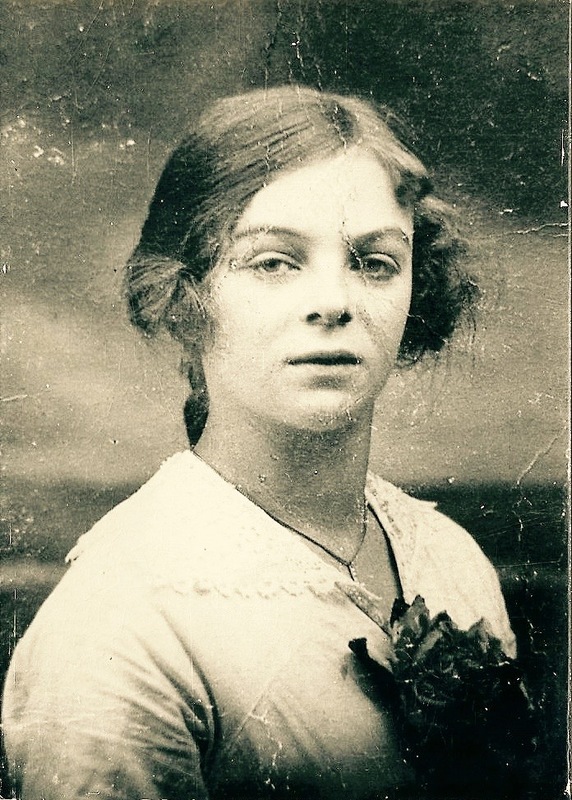 In 1911 her occupation is ‘confectioner sweets’. I have this image of Dinah running her own sweet shop – you know the sort I mean, with large jars of sweets of all different kinds. 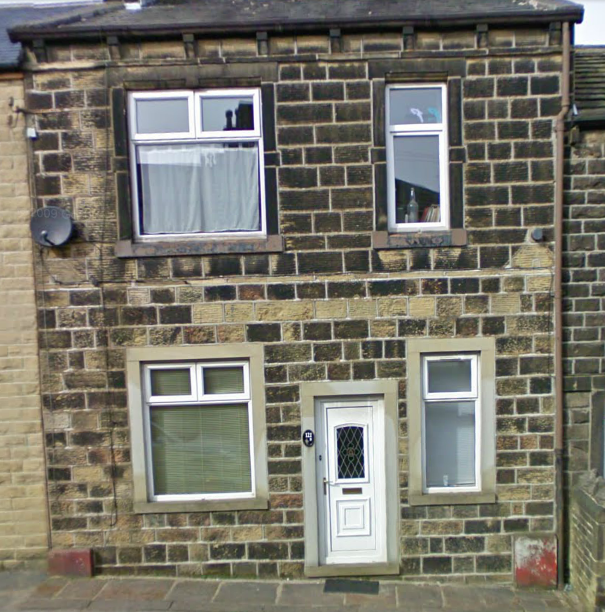 In 1911 the family was living at 121 Keighley Road, Cowling (see photograph below). I wonder if Dinah was running her confectionery business from this address. James died on 28 July 1924 at the age of 73 and Dinah passed away on 9 September 1932 aged 79. This gravestone is at Holy Trinity church in Cowling, West Yorkshire. It marks the resting place of Thomas Redman and his wife Ann (nee Dawson). Ann is my 1st cousin 4 x removed. Our common ancestors are my 4x great grandparents John Dawson and Ann Watson. She was born about 1838 to parents Watson Dawson and Mary Hopkinson. Sometime in the March quarter of 1860 Ann married Thomas Redman, also of Cowling. I haven’t done any research on Thomas so I have no information about his parents or earlier ancestors. As far as I have been able to establish so far Thomas and Ann had one son, James, born about 1860. Thomas worked as a cotton weaver all his life. 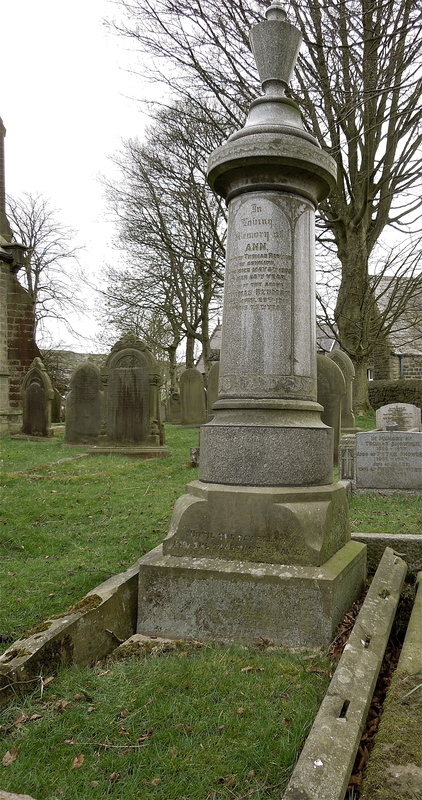 Ann died 107 years ago today on 8 May 1905 and was buried four days later. Thomas survived for almost six more years until his death on 29 April 1911. I have a couple of weeks off work and thought I would make the most of my time on family history stuff. So I spent all day yesterday updating and cross checking some research on a tree I am doing for a relative. I hardly moved from the computer screen from first thing in the morning until early evening. Today I decided that I would get out in to the fresh air. I dropped Jayne at the bus stop at about 6.45am and carried on to Cowling, near Keighley – a journey of about 26 miles. I had a flask of coffee, sandwiches and my camera. The plan was to hunt down some more gravestones. I trawled through the National Burial Index recently and identified a number of relatives buried at Holy Trinity Church in Cowling and a couple at a small cemetery in Steeton with Eastburn not far from Cowling. I had quite a long list including Dawson, Gawthrop and Snowden ancestors. I have to say that I wasn’t all that optimistic of finding very many headstones. And indeed that turned out to be right – I came home with only six names crossed off my list. I am guessing that the graves I can’t find must all be without headstones. There were a great many of these. So I am thinking that perhaps the church will have a record of who is buried in which unmarked grave. There wasn’t anyone around today so I will have to follow this up later. I was a bit more optimistic when I visited the small cemetery at Steeton with Eastburn. I was looking for the graves of two brothers – Arthur and Clement Dawson. Unfortunately I couldn’t find them either. And by now it had started to rain so I was feeling rather miserable. I did manage to take a good photograph of Holy Trinity Church though. I have been on the look out for a postcard but haven’t seen one yet. This is a Victorian church designed by Robert Dennis Chantrell and built in 1845. It is now a Grade II listed building. The village of Cowling is Saxon in origin and is recorded in the Domesday Book as ‘Collinge’. The name means Coll’s people or tribe. At the time of the Norman Conquest the main landowner was Gamel who had very large land holdings in Yorkshire. His name survives in Gamsgill on the northern edge of the village. Originally the village comprised three separate hamlets namely Ickornshaw, Middleton, Gill and Cowling Hill. It was only following the construction of the main Keighley to Colne Road and the building of large mills alongside the road that what is now regarded as the main village was constructed providing terraced cottage homes for the mill workers. The older parts of the village faded in importance and as a result the parish church and village school are located on what appears to be the outskirts of the village between Ickornshaw and Middleton, the centre of the village having moved since their construction.